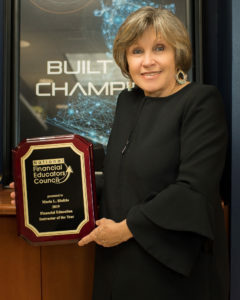 The National Financial Educators Council (NFEC) has honored Maria Riofrio with its Financial Education Instructor of the Year award for her work in financial literacy. As Assistant Director at the LiSA Initiative, the financial literacy platform of First Financial Security, Inc., Riofrio has empowered individuals to work toward greater financial security and has expanded the LiSA Initiative to train a network of financial education instructors. Each year, the NFEC recognizes an individual who has made significant contributions to promoting financial literacy over the previous year with the Financial Education Instructor of the Year award. As a national trainer for First Financial Security, Inc., Maria Riofrio has trained dozens of agents to engage their communities with a dynamic curriculum she helped develop. After struggling to understand United States financial culture as a new immigrant twelve years ago, Maria Riofrio is committed to ensuring that others have easy access to the knowledge she once lacked. 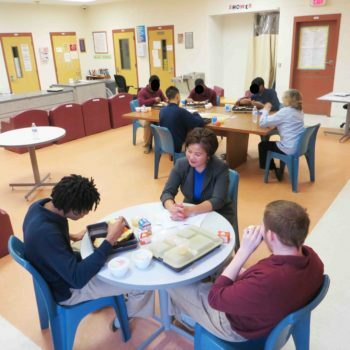 Since Riofrio joined the LiSA Initiative in 2014, she has educated youth in correctional facilities, trainers on military bases, teenagers at a transitional home as well as Cambodian, Laotian, Hmong and Hispanic communities around the country on financial literacy. She has dedicated her career not only to directly educating diverse communities, but to empowering other educators as well. “Maria Riofrio is an inspiration to her students, colleagues and her First Financial Security, Inc. agents. She has been instrumental in developing the LiSA initiative, is passionate about the curriculum and cares about her message of financial empowerment. Her story is remarkable, and she has inspired so many to take financial education seriously,” noted Debbie Gerlicher, Director of the LiSA initiative. Maria’s success as a financial educator is not only in her mastery of the subject matter, but in her genuine care for her students and colleagues. After facing the realities of handling her finances alone for the first time at 47 with the death of her husband, she was moved by the LiSA Initiatives founding mission of helping women achieve financial security and peace of mind. She has helped expand the curriculum and the LiSA initiative’s mission to reach all Americans has impacted so many communities across the country. Maria’s powerful story of finding her financial footing as a widow and an immigrant helps her connect with her students. In the coming year, she will continue to focus on inspiring minority women to achieve financial security and peace of mind. “Maria exemplifies the stellar characteristics represented by the Financial Education Instructor of the Year award. Her passion for helping others work toward greater financial security is evident when she teaches a class and while expanding the program with a network of financial education instructors. This combination is increasing access to financial education programming where it’s needed most and her efforts can continue to help people for many years to come,” commented Vince Shorb, CEO of the NFEC. The National Financial Educators Council (www.FinancialEducatorsCouncil.org) recognizes those industry representatives who have made significant contributions to the financial literacy movement. These awards are designed to encourage others in the financial education space to continue to push boundaries toward promoting financial wellness on an ever-larger scale. The LiSA Initiative is a grassroots movement created by First Financial Security, Inc.® to address the financial concerns that women and their families experience every day in the United States through financial literacy. Launched formally in 2015, LiSA brings financial wellness to Americans and the communities where they live and work. LiSA has evolved into First Financial Security’s financial literacy platform. It aims to help all people – women, men, families, communities– who want to take control of their lives and build a better future through financial education. LiSA does this by providing financial literacy curricula, training, mentoring, advocacy and empowerment.